thanks to forward the good news and I personally appreciate the unity, devotion and courage of Piyush Residents. Now the time has come to ask the GFWA to get the similar justice for all the NEHAR PAR buyer as all the developers are of the same attitude/illegal practice towards the helpless innocent buyer. I can quote a fresh example of a developer " THE DEVELOPER HAS THERETEND TO CANCEL THE ALOTMENT ON GOING TO EOW OR TO APPROACH CUNSUMER COURT"
Instead of fighting individual or project vise we all the Nehar Par buyers should come together under GFWA umbrella to fight the atrocities of the nehar par developers other wise they the developer will crush our rights and going on with their atrocities and illegal demands if we are not unite. 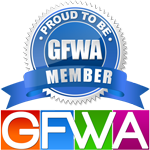 It is well known that GFWA has already set an example in the legal fight against ENHANCED EDC. I like to request the comrades like Mr. Dhiraj and Mr. Jayant to come forward for the cause. Dear Dinesh ji Sympathies with you But you will have to initiate the fight GFWA will not initiate the fight They will assist, Guide in Fight. The affected party i.e the Buyers have to initiate legal action, GFWA,FAOA or any other Organization can Guide, assist you, Help you, but cannot take your position . Dear Dinesh Ji, legally it may not be possible for GFWA and FAOA to have combined case since issues with each builder are different. Modus operandi of extracting money from buyers differ from builder to builder. Hence, cases can only be filed separately. Yes, GFWA is fighting the case for rollback of enhanced EDC but it is because since this is a common policy by Govt. and applicable to all builders in the same way. GFWA and Federation can provide advisory support but cases have be filed by buyers of individual societies. Is anyone filing for enforcement of this order? Is that a possibility in view of the delay in NCRDC case hearing? Dear all kindly provide me the email iDs of some of the members of PIYUSH HEIGHTS. The builder has taken extra money and still demanding huge amount for registry. Kindly let me know if there is a meeting of forum members. Piyush Heights Apartment Allottee Society is fighting for those buyers who have NOT paid illegal extra demands of builder and are opposing with full strength. It seems that you have paid illegal demands.